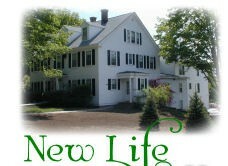 New Life Home for Women and Children is a group home that teaches the Word of God, prayer and life skills to women in crisis. It is located in Manchester, NH, and they welcome donations of clothing, food, or volunteer services from our members and the community. Click here to visit their website.